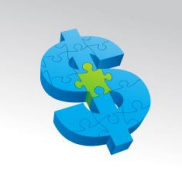 How can you find available funding opportunities within UCSF? You'll find several intramural funding options listed below. The Resource Allocation Program (RAP) acts as a one-stop shop for several intramural funding mechanisms by managing the dissemination, submission, review and award for these opportunities. For more information, visit the RAP webpage. Contact Emy Volpe, Sr. Manager, at 415.502.1674. PBBR Seeks to stimulate and support highly innovative basic science research at UCSF. The focus is on potentially high-impact basic science projects that are creative, risky, and transformative. They seek novel ideas that are more ambitious than those that receive funding from NIH and other traditional funding mechanisms. For more information, contact Courtney McFall, Program Manager, at 415.476.0498. HDFCCC has a vibrant intramural awards program that administers both CCSG developmental funds as well as foundation and philanthropic funds for pilot projects. For more information contact Meredith Donnelly, Programs analyst,at 415-502-2186. This program is designed to provide temporary (up to twelve months) and partial support during continuing efforts to obtain full extramural funding. See details about eligibility and the application process on the School of Medicine Bridge Funding Program page. Priority will be given to faculty members with experienced research teams that are threatened with disruption and to new investigators with one or more rounds of well-scored but unfunded applications and who are within a year of exhausting start-up funds. Applications are due December 13, 2018, 5:00 pm PT. Please contact Michelle Teng or call (415) 502-3678 with questions. The purpose of the Hellman Fellows Program is to provide short-term support for outstanding faculty at the assistant professor level whose work shows originality and promise of distinction, and to assist promising young faculty at the point at which start-up funds have been exhausted and before their research qualifies for other external support. Call for applications goes out every February via the Limited Submissions listserv. To subscribe to the listserv or with any other questions, please contact: Lisa Howard. UDAR facilitates the allocation of monies endowed to UCSF. These funds are usually dedicated to specific departments or areas of research and typically are to be used at the investigator's discretion. Contact Michael Faber at 415.476.2617. QB3’s mission is to stimulate innovative life science to keep us healthy, sustain our environment and grow the economy. They promote cross-campus, interdisciplinary research using quantitative approaches to tackle the most difficult challenges. Through tools that include research facilities, educational programs, internships, mentoring, incubators, and a seed-stage venture fund, their creative partnerships with industry and support for entrepreneurial scientists bring the fruit of research to market and bring benefit to society—in the form of products, services, and high-value life science jobs. Rosenman Institute is QB3's medical devices initiative. Their specific mission is to drive medical device innovation and to improve patient care by helping entrepreneurs develop technologies from concept to commercialization. The AS represents the faculty half of the shared governance of UCSF and provides grants for investigators. Contact Alison Cleaver, Associate Director, at 415.376.3808. Funding flows through the RAP Program. Mission Bay Capital, LLC uses capital and expertise to help entrepreneurs emerging from the University of California change the world. For more information: 415.240.4970 or [email protected]. The Research Grants Program Office at the RGPO oversees a broad grantmaking portfolio of nearly $65 million a year to support research that is critical to California, the nation and the world. RGPO programs enhance UC’s research capacity and excellence, which helps attract top faculty, graduate students, government funding and companies to our state. These grants also enable researchers and community agencies to collaborate and solve the most pressing problems in the state. RGPO also provides grants for training undergraduates, graduate and postdoctoral researchers, whose work will benefit California communities.